News Archives - Surfing Hydrangea Nursery, Inc.
Surfing Hydrangea Nursery has been in the business of selling plants since 1998. During that time, the nursery industry as a whole has changed considerably. These changes have affected the entire supply chain for plants, starting with liner producers and ending with re-sellers like SHN. Commercial growers have seen increasing costs make their operations less profitable. Prices have slowly increased over the last 5-6 years, but not as quickly as costs have mounted. Most recently, limited supply has given growers the confidence to increase prices. Many of our customers are surprised by how expensive plants are. Others wonder how we are able to keep our prices comparable to other markets in the North East like Boston and New York. 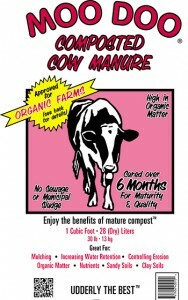 The truth is, that we price our plants based on how much we pay for them and adjust for the cost of shipping and labor. It is important to us to keep our pricing stable and fair. We work hard to cultivate strong relationships with our suppliers through an ability to purchase volume and pay quickly. These relationships often allow us to keep prices from increasing when other outlets are forced to charge more. All that being said, prices are definitely on the rise industry-wide. Some vendors have nearly doubled their prices on field-grown trees since 2010, when they were at their lowest during the recession. 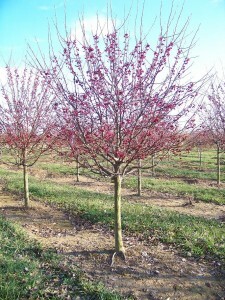 At that time, many tree farms abandoned a huge amount of growing acreage and ceased planting liners for future harvest. With fewer woody plants being grown, there has also been a drop in the production and availability of liner plants. This overall decrease in infrastructure has begun to limit supply. Labor and shipping costs have also gone up. All these factors create a climate where price increases are inevitable. We work very hard to keep stocked up during the entire season and to have those items which may be in short supply. 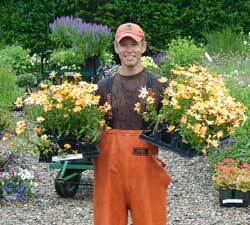 Our goal is always to provide the highest quality plants at prices that reflect their value. 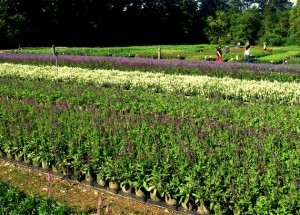 We expect to increase prices over time, but only to keep pace with what is happening in the nursery industry at large. Spring shipping has begun and a great line up of new material is rolling into the yard at a fast and furious pace. We hope that Surfing Hydrangea will be your first choice for plants in 2017! One of the highlights of last week for Britt and I was a visit to several of our purveyors off-island. After a long summer of selling plants here at Surfing Hydrangea, it was a real treat to take a business trip. With over thirty years combined experience in the green industry, we still find a trip to see our growers valuable and interesting. Our first day was spent with a morning of travel and a visit to a grower with a vast series of fields and green houses. Literally thousands of cultivars of annuals perennials, shrubs, grasses and trees were neatly row-ed up in groups at various stages of growth. We were told they have over 40 miles of cover able green houses! I was particularly taken aback by the hydrangeas. We sell a great deal of hydrangeas each year, and at times I feel like I am swimming in mop-heads and floating on a sea of panicles. But I was stunned to see thousands upon thousands of ‘Endless Summer’ hydrangeas in their customary blue pots. Perspective. The green industry is huge. On our second day we visited one of our favorite growers in Franklin, CT. This operation grows the best quality perennials and vines in our region. We walked around fields and fields of flowers in full bloom. I was surprised to see that their largest crop of shade plants were grown outside under a huge stand of oak trees. It reminded me of our little shade section, shaded by a stand of aging pines. Even when growing is more and more mechanized, it’s refreshing to know that low-tech, natural approaches still have a place. The hectic pace of summer past, and a great visit to our growers behind us, we’re back at Surfing Hydrangea, re-invigorated and ready to power through the fall. Plants are Cool! April on Nantucket can still have it’s share of unpredictable weather, ranging from warm and sunny to driving rain and wind, with freezing temperatures still possible. Rainy days are the perfect excuse to turn on the computer and check out your favorite gardening sites. 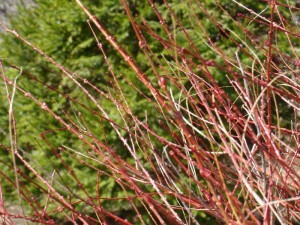 UMASS Amherst has a great extension site: www.umassgreeninfo.org has loads of fact sheets to help you with specific garden and landscape questions. 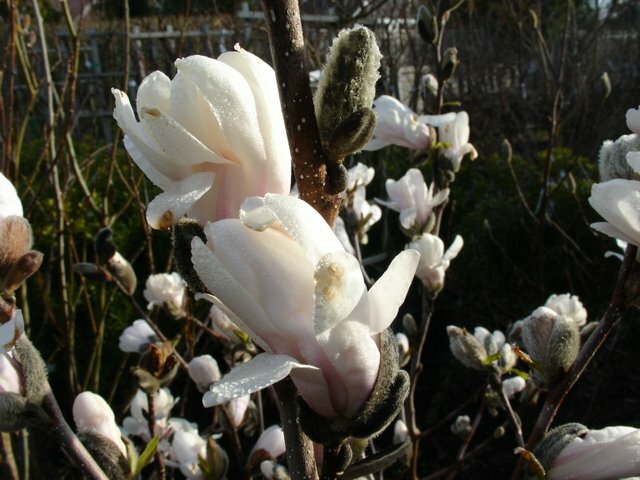 If you like a more visual explanation, Fine Gardening magazine’s site boasts a whole range of informative clips at www.finegardening.com/Videos And while you are browsing the web, be sure to check out our brand new website www.surfinghydrangea.com Happy surfing! Surfing Hydrangea Gift Certificates are a great option for spring gift giving. Why not consider one for a special person in your life? Our Gift Certificates are beautifully presented and are guaranteed to make any island gardener smile. 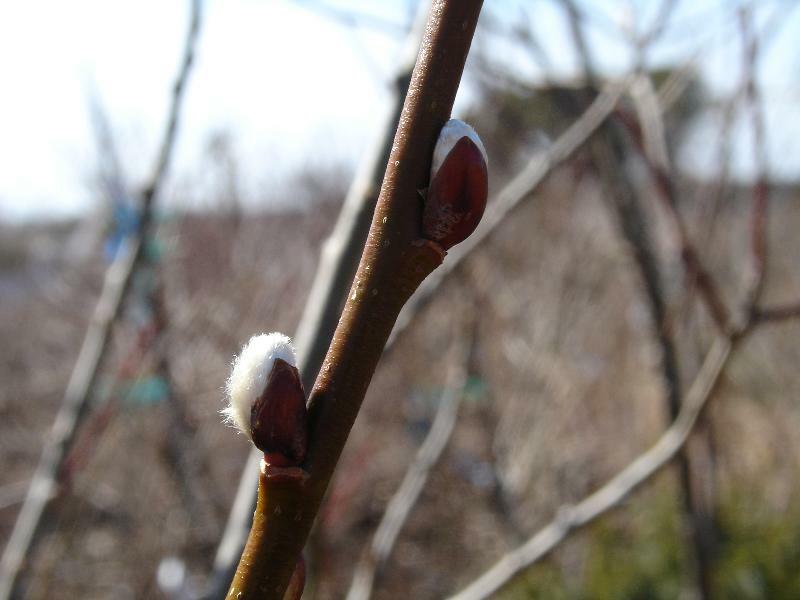 Digging field grown trees and shrubs is done in the spring, before buds begin to break. 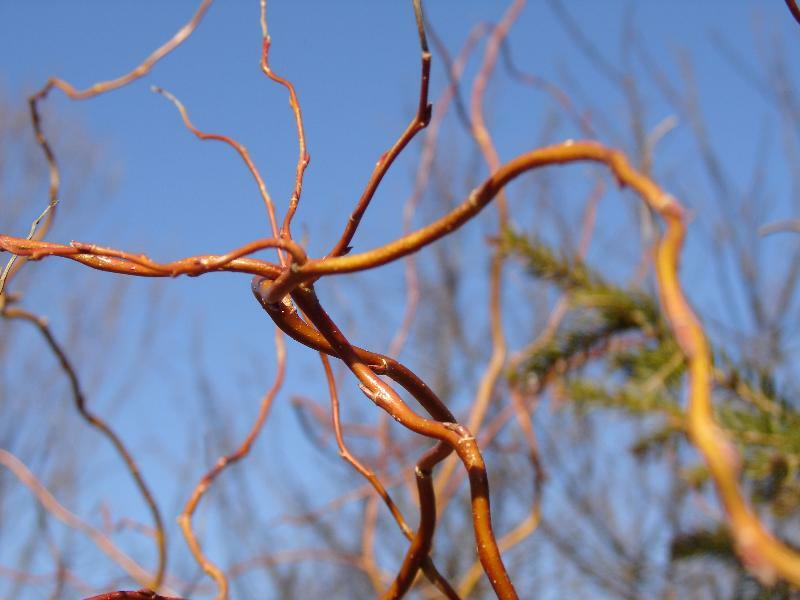 At this time, woody plants are the least susceptible to transplant shock; plants do not tolerate root disturbance at times of peak growth and during warmer weather. 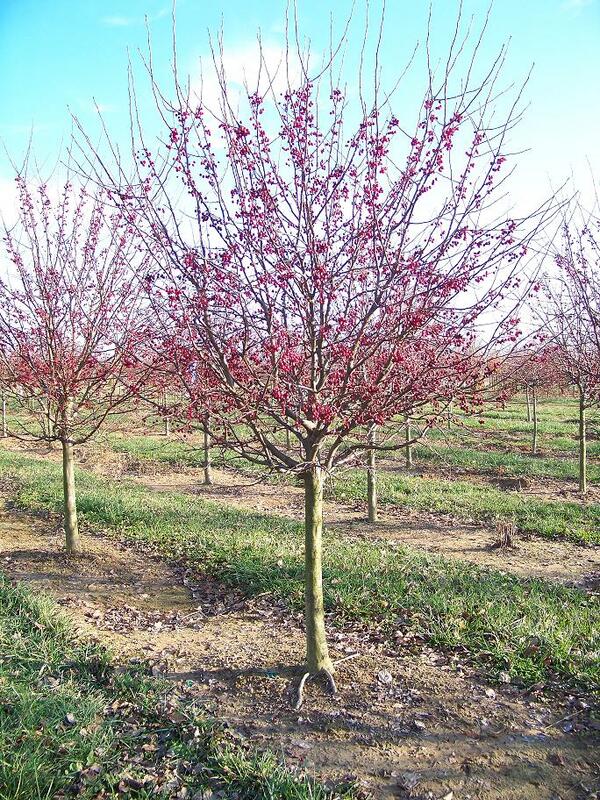 Keep in mind that any trees that tend to bud out early, like crabapples, will have the most limited time-frame of availability. The majority of our suppliers were affected by the massive amounts of snow that were dumped onto most of the country in February and early March. For this reason, digging began a little later than in average years. However, the recent warm weather will likely bring the digging season to an early close. 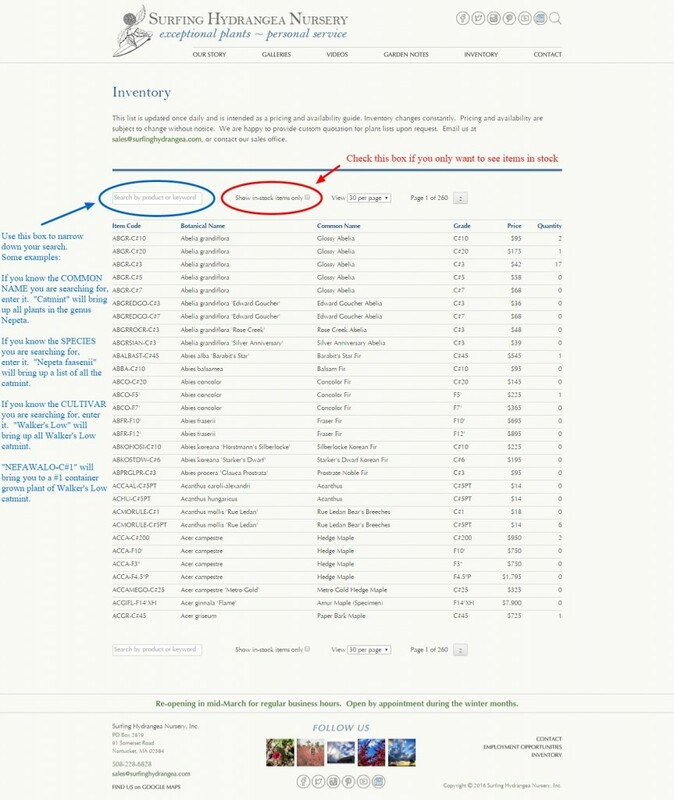 Should you require specific varieties, or sizes for upcoming projects, please let us know as soon as possible. Once digging has ended, selection is much more limited on large and specialty material. The Frost Blankets Are Coming Off! 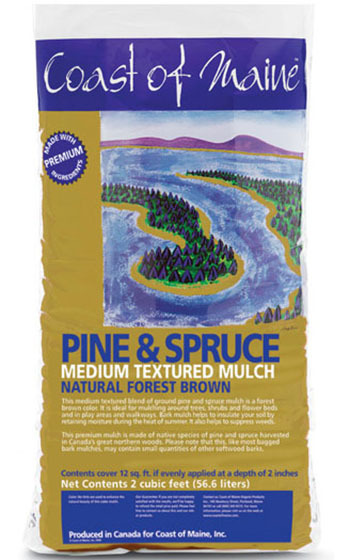 Spring clean-ups are a great time to take stock in the garden. 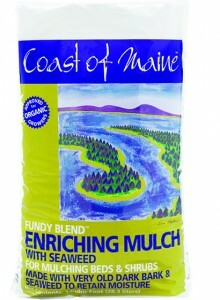 While you tidy up beds for the spring flush of growth, why not start a list of perennial needs for the upcoming season? 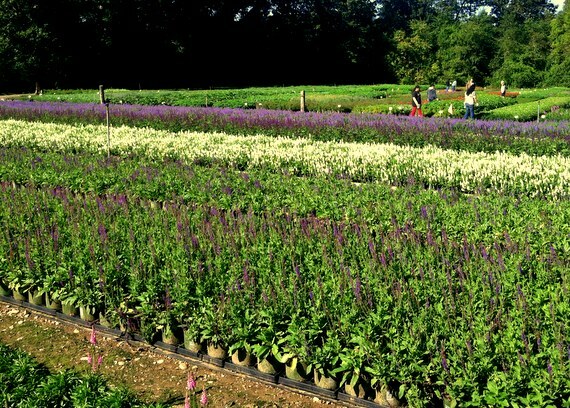 We are uncovering a large inventory of fully vernalized perennials for shade and sun. These have been over-wintered here at the nursery. 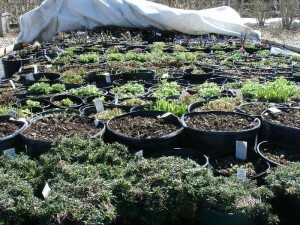 These plants are ready for planting as long as the soil is workable. Our vendors will be shipping a wide variety of the best quality stock to us during the upcoming weeks to further expand our selection. If you have special requests or need quantities of particular varieties, please let us know – we are always happy to order in what you need. Signs of Spring are beginning to appear! Temperatures in the forties prevailed this week and the long range forecast looks warm and clear for the next week. 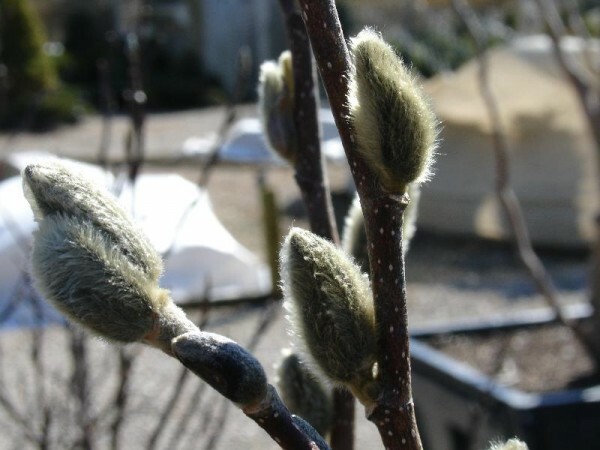 The nursery is open for the season, with plenty of great plant material in stock already. 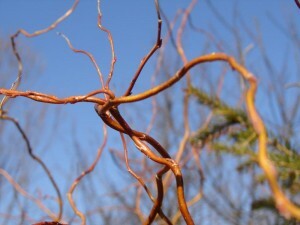 Throughout the spring we will be adding to our inventory to cover all of your plant needs. Drop in to say hello soon! During March we are open Mon-Fri 8:00 to 5:00 and by appointment on the weekend. Check out the photos below of some stock from the yard. Not Quite Ready For Planting? 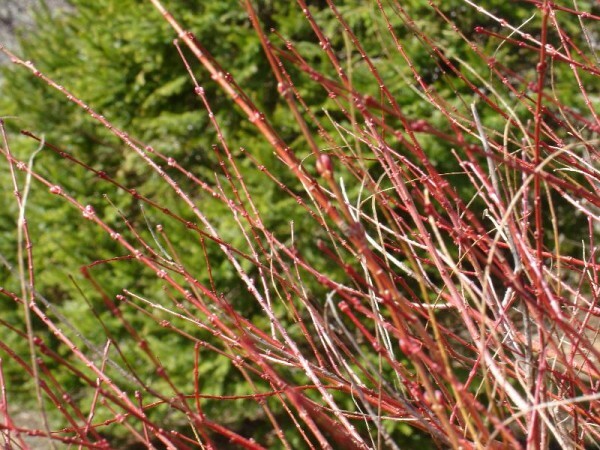 Early spring is a great time to top dress perennial and shrub beds. 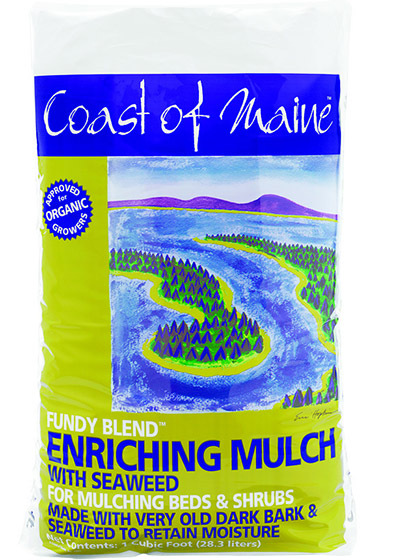 All Nantucket soils will benefit from the addition of organic matter, whether they be the sandy, lean soils on Eel Point Road or the pockets of clay found in ‘Sconset. 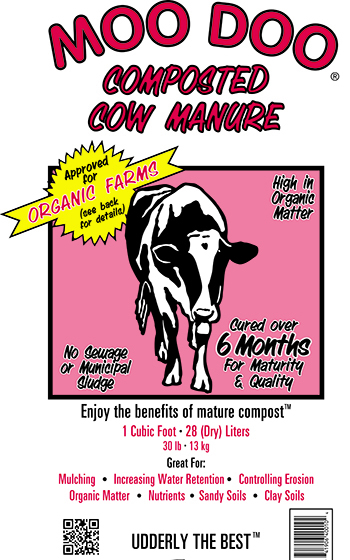 MooDoo, composted cow manure, is an ideal source of organic matter that helps build the soil that feeds our plants. 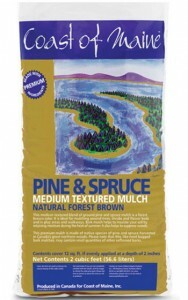 We offer it in conveniently sized bags, ready to go and easy to apply.